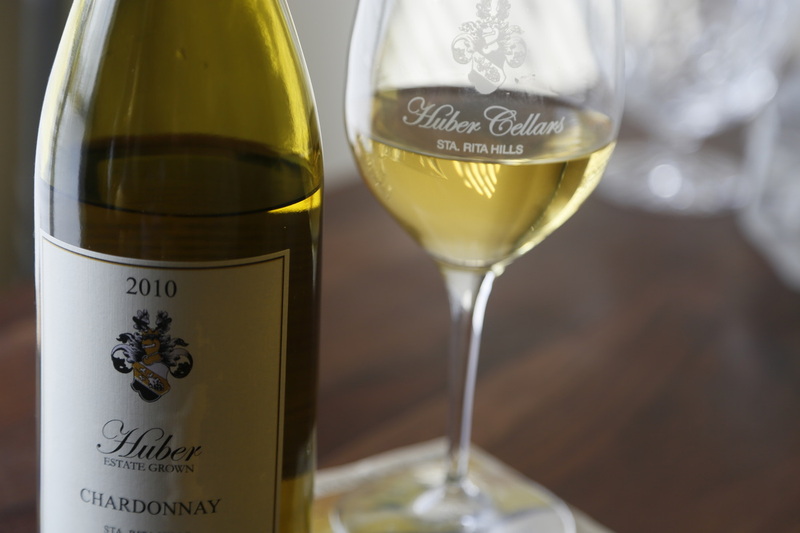 Huber Cellars' recently released 2010 Chardonnay exhibits classic Santa Rita Hills characteristics and has aged very gracefully in the bottle. Whole cluster pressed and aged in 20% new French oak barrels brings forth a fantastic wine from a fantastic vintage. 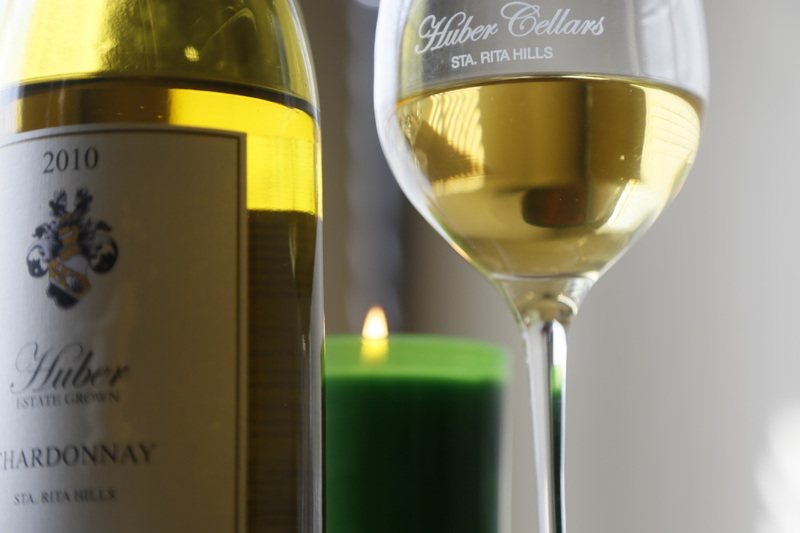 When looking at the wine, it shows great clarity, representing purity and cleanliness. This shows true craftsmanship from wine-maker Norm Huber. The wine is so clear that a background may be viewed through the wine, showing a lamp post and sunlight from a window. On the palate, the wine amply presents a luscious smoothness, unctuous and full in the mouth, representing classic integrated flavors. 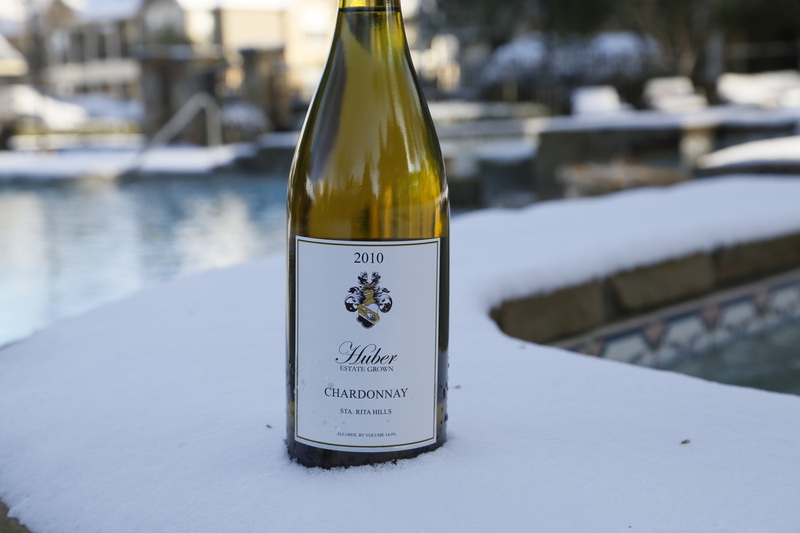 This wine immediately declares itself graceful and elegant, almost reminiscent of a Burgundian Chardonnay, but Huber Cellars' Chardonnay possesses something absent in old world wines – forward fruit. The acidity is very well balanced with citrus fruit flavors of Meyer lemon and Cavaillon melon. On the mid-palate, a buttery softness adds to the elegance, rounding out with hints of mineral earth on the finish. This wine is beginning to peak and it is advised to decant for at least 45 minutes. Recommend pairing with hearty seafood dishes such as Japanese Panko fried Tiger Prawns, jumbo lump Santa Barbara crab cakes, or charcoal grilled Atlantic salmon. Will also pair well with any beurre blanc based dishes.